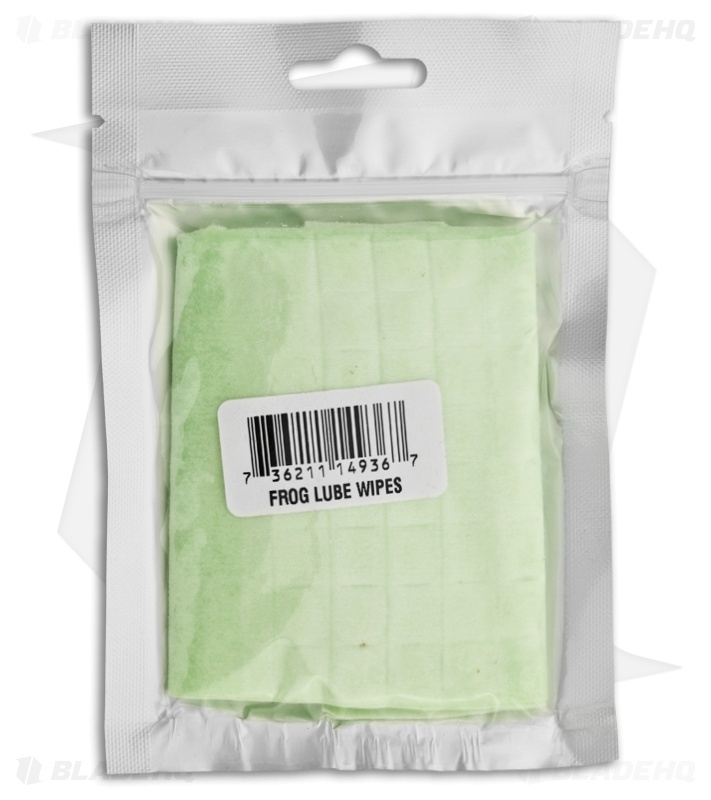 Take with you-anywhere FrogLube CLP (cleaner, lubricant, protectant) Wipes (8" x 8") are perfect for those last minute, unexpected weapon cleaning jobs. Comes in resealable packaging. No jams. No rust. 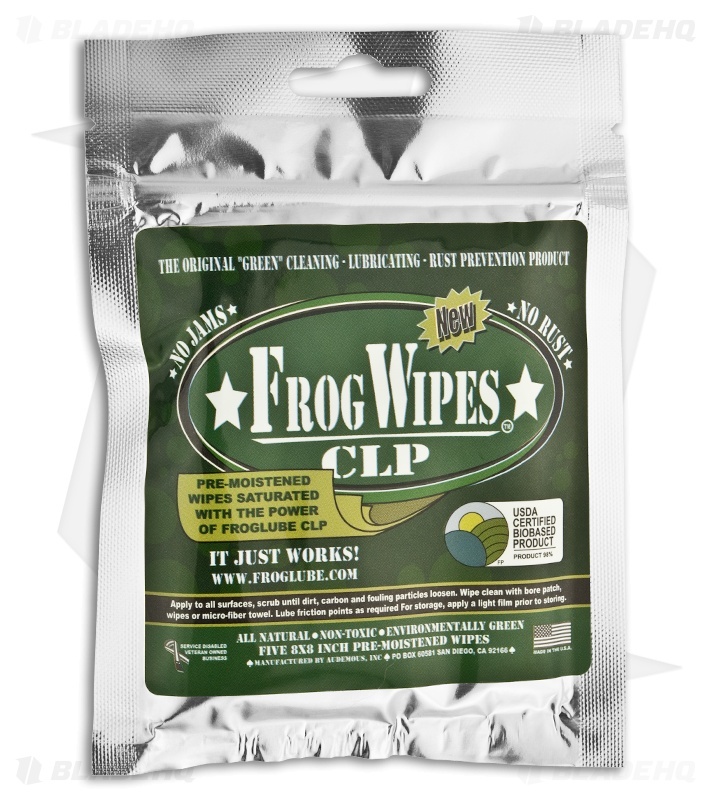 All natural and 100% safe! Frog lube is fantastic. These are very handy. 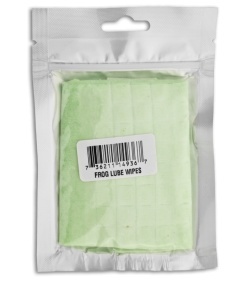 Good quality shop towels, coated in frog lube, like 5 to a resealable pack. Great for light touchups. Can be reused, if used on a clean item. If cleaning a filthy pistol, can be tossed in the trash afterwards. 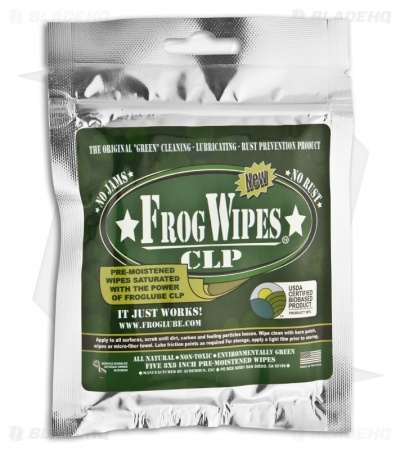 Great in the range bag, to keep in the vehicle or to use at home for the convenience factor. Great product. No nasty chemical smell!